From 14 to 16 November, 2018, a creative workshop training was held in Skopje as part of the USAID Youth Ethnic Integration Project. 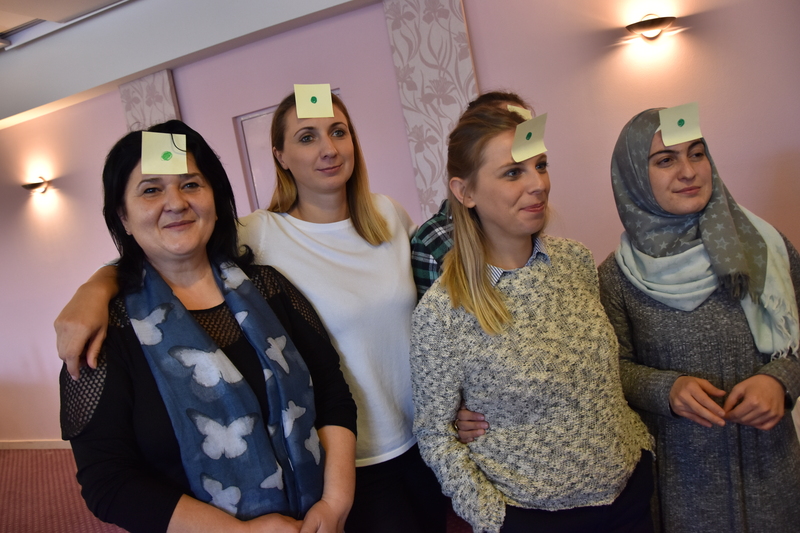 The training was attended by 16 teachers from eight secondary schools in Macedonia – “Ismet Jashari”, v. Lipkovo, Kumanovo, “Saraj”, Skopje, “Risto Risteski – Ricko”, Prilep, “Kuzman Sapkarev”, Bitola, “Braka Miladinovci”, Skopje, “Kole Nehtenin”, Stip, “Gorce Petrov”, Kavadarci and “Car Samoil”, Resen. 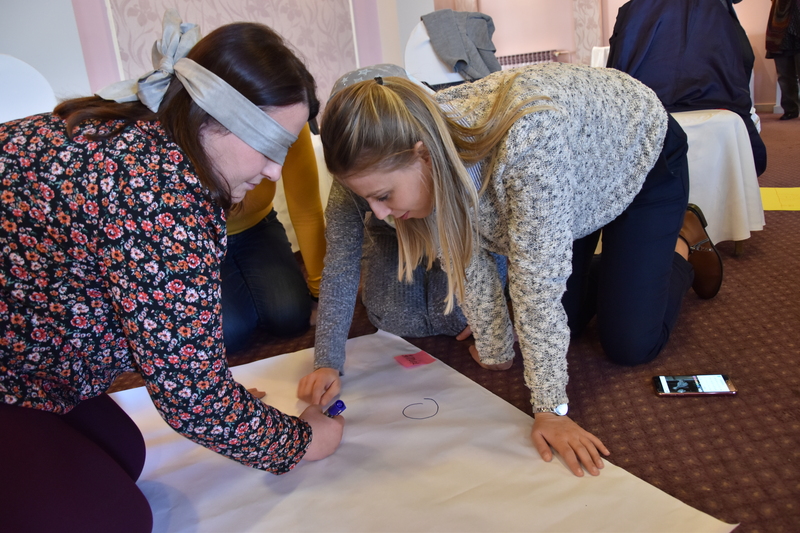 The teachers who attended the training gained skills for using creative methods and innovative approaches in extracurricular and curriculum activities. These skills will enable them to organize creative workshops with groups of students in their schools. “The manner in which the training was held these three days was excellent – we were expressing ourselves through drawing, acting, playing. This experience is important for us teachers because it will be useful in our work with students. During the training, a cohesion was created between the participants, there was mutual understanding, respect, cooperation, support and friendship”, said Mevljude Nigjare Kjerimi, a teacher in the secondary school “Ismet Jashari” in Lipkovo. “In addition to gaining knowledge, we had an opportunity to gain friendships with colleagues and exchange opinions and experiences related to our proffesion“, added Olgica Slaveska, a teacher in the secondary school “Riste Risteski-Ricko” in Prilep. In the upcoming period, the teachers will work with groups of students in their schools, balanced in terms of their ethnicity, gender and social background. The trained teachers will organize creative workshops in the course of the 2018/2019 school year. The use of creative tools in such a specifically designed methodology enables the youth to acquire the necessary skills to integrate in the civil and democratic society, regardless of their ethnic background. Furthermore, the creative workshops also contribute to improving the students’ self-confidence, developing team work and cooperation skills, as well as encouraging creativity to deal with the challenges that affect the young people. As a result of the workshops, public presentations in the local communities will be organized. The organization of creative workshops is a methodology which was also used within the USAID Interethnic Integration in Education Project that was implemented by the Macedonian Civic Education Center in the period from 2011 to 2017. Through these two multi-year USAID interethnic integration projects, 56 teachers from 28 secondary schools have been trained so far, with active involvement of more than 900 young people.